Life is crazy, we know this is a fact. So much so that it might as well be Newton’s 4th Law of Motion. Some days are harder than others and it’s easy to get down on yourself. When the whole world feels like it’s against you, you have to have your own back. The best way to do this is to stay present and forgive yourself when you need to. It’s not about being self-absorbed or narcissistic, it’s about getting in touch with ourselves, our well-being and our happiness. We practice self-love so we can push through our limiting beliefs and live a life that truly shines. We highly recommend that you create a self love ritual just for yourself. Turn off the phone, computer and the TV and get centered. Do this every day! Even if you only have 15 minutes, try first thing in the morning to set your day up right. There are so many things you can do with this time and ways you can treat yourself and show your mental, physical and spiritual self some love. Start each day by telling yourself something really positive. How well you handled a situation, how lovely you look today. Anything that will make you smile. One of My favorite ways to practice self love is to massage and moisturize my skin with intention. As I massage my feet I thank them for getting me to where I need to go. As I moisturize my hands I love them for all the transactions and introductions they’ve helped me with throughout my life. I stop taking my body and my life for granted and relish how blessed I am while showering myself with gratitude. Treating your body like a loving vessel will not only boost your self-love, but also your energy. Be intentional about what you put into your body, not only because you want to look good but because you want to feel good. Feeding your body nutrient-rich foods also will have you oozing love out of every pore. Have a cup of tea and meditate focusing inward and then project your energy outward. While drinking take some deep breaths, breath deeply in through the nose and out through the mouth. You should experience a sensation of euphoria, stillness and rejuvenation giving you the boost you need to take on the world. Clean out your closet. Or just clean anything! Kitchen cupboards, refidgerator, basement etc. This may be more therapeutic than you initially think. Cleaning out your closet will help you not only clean your room up a bit, but will positively affect your mind. Getting rid of old things will make room for new things to come in to your life! Cleansing your mind can sometimes work in the form of letting go of clothes, shoes, jewelry, etc. that remind you of a certain time in your life that links to a negative vibration. Don’t chase what’s already happened; love yourself enough to know the best is yet to come. Make sure your have a precious support system. It’s not about having a 1,000 friends. Build yourself a community of loving relationships. No one is an island and we need love and support from others around us. We also need to give that back. Be present in your relationships. Make time for those who are special to you. Even if it’s a crazy busy week, take 5 seconds to send a quick message or email to someone you love letting them know you’re thinking about them. You might just make someones day and they might just do the same for you, especially when you really need it. STOP COMPARING YOURSELF TO ANYONE ELSE! Stop it! We’ve all done it. Browsed through social media only to see our favorite media personalities, friends, etc in the middle of a photo shoot for their new books, just after they had awesome shopping sprees or post about their engagements. WHAT!? I know it’s hard to look at so many positive pics on the Internet, or even in your own life, and know that everyone has bad days. The next time you want to browse the web for reasons to feel bad about yourself or compare yourself vs. them, remember that you are perfect just the way you are; being in a pattern of compare and despair only makes you focus on the negative, when there’s SO much to be grateful for. You are unique, everyone is. Thats what makes this world so amazing. So knock it off! Build your letting go muscle. We’re constantly holding on to things in our past, and it can tend to weigh heavy on our souls and even give us low self-esteem. The more blocks we clear, the more we can really live big in the area of self-love. Although we may do this as a way to protect ourselves from hurting, it’s really only holding us back from moving forward to reaching optimal self-acceptance and loving who we are. Find your happy place. It may be in the back corner of your favorite coffee or book shop. Maybe in a yoga class. Maybe a quiet bench in the park. Think of a place that makes it simple to just be. That means being able to sit quietly and embrace the here and now. Not thinking about what’s due at work or what bills need to be paid, you owe this happy place to yourself. Self-love is all about connecting with yourself, and one of the easiest places to do that is your happy place. In short, have fun! Get out there and do the things that light your fire. Enjoy them, enjoy being you and enjoy your incredible life. 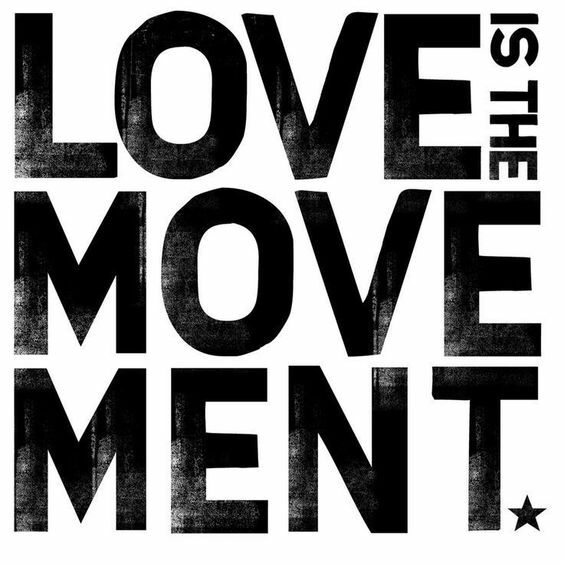 Most important love yourself, love is the movement.